This is the easiest use case as FusionPBX has it out of the box. All you need to do is edit an extension, look for the limit max and limit destination fields and customize them. Usually, the default values are okay you shouldn't change them. 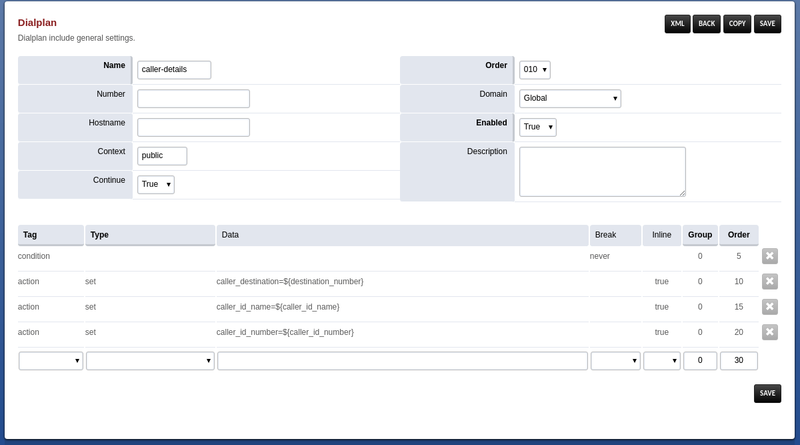 Edit the caller-details dialplan, you will find it in the inbound routes and add a set line call_direction=inbound. If you are updating from an earlier FusionPBX release (earlier thant 4.4), it is very likely you won't have this dialplan. Here it is a screenshoot. Jus create it if you don't have it. Go to the Dialplan Manager and enable the call-limit dialplan. You may want to make it a global dialplan (aka shared dialplans) if you want to make this a global think in your PBX. Go to the Dialplan Manager, edit the variables dialplan. Add the max_call variable like any other. 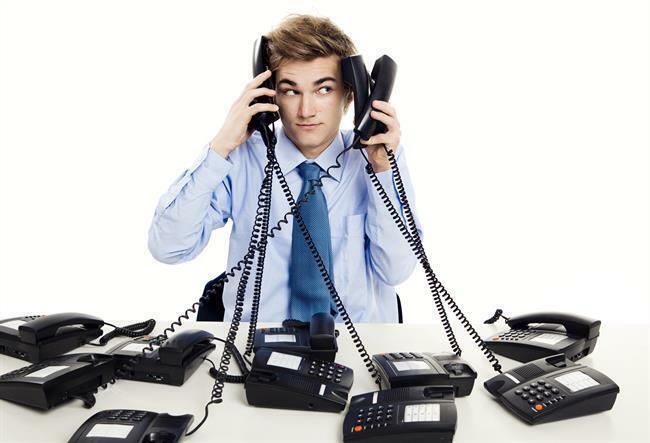 You are done, at this point, the number of simultaneous calls, regardless if they are incoming or outgoing, it is given by the max_call variable. Some odd scenarios may need a different number of incoming or outgoing calls. For example, you may give your customer six simultaneous incoming calls, and only two simultaneous outgoing calls. This is kind of more advanced stuff, if you really need this, don't hesitate to contact me for support.